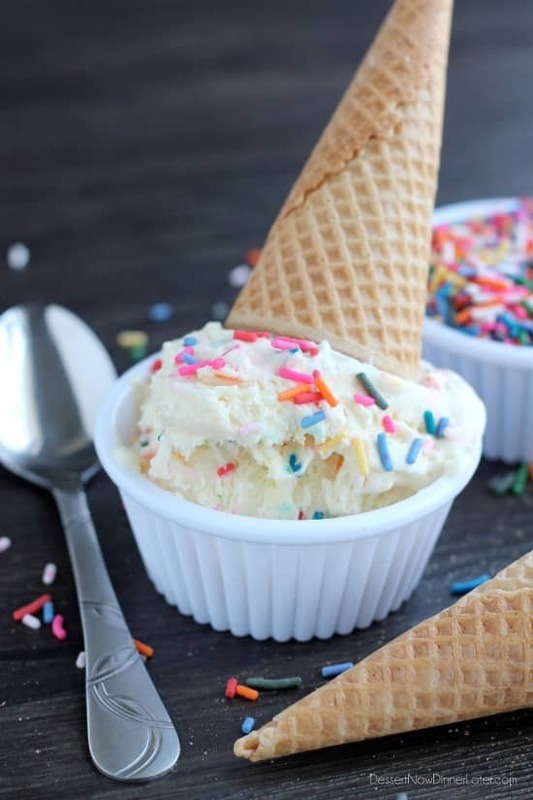 No Churn Cake Batter Ice Cream - Dessert Now, Dinner Later! I have been waiting all summer to make ice cream! It’s kind of hard to do when you are participating in a health challenge the whole month of June and half of July, and I knew which flavor I wanted to make right away! Cake Batter Ice Cream is my favorite flavor at Cold Stone. I actually used to work there – twice. The first time I was just the typical employee, scooping ice cream for customers, the second time I was a cake maker/decorator. Anyway, we got to have one “like it” size ice cream each time we worked, and although there are a plethora of flavors and combos, my two favorites were cake batter with a brownie, or cake batter with cookie dough mixed in. Heaven I tell ya! This ice cream is not an exact replica of Cold Stone, but it’s not bad either. 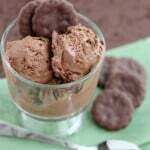 It’s really thick and ridiculously decadent, plus it’s NO CHURN Cake Batter Ice Cream! I know several of you will be excited about that, because I know that although I have an ice cream maker, not everyone does, so you’re welcome! 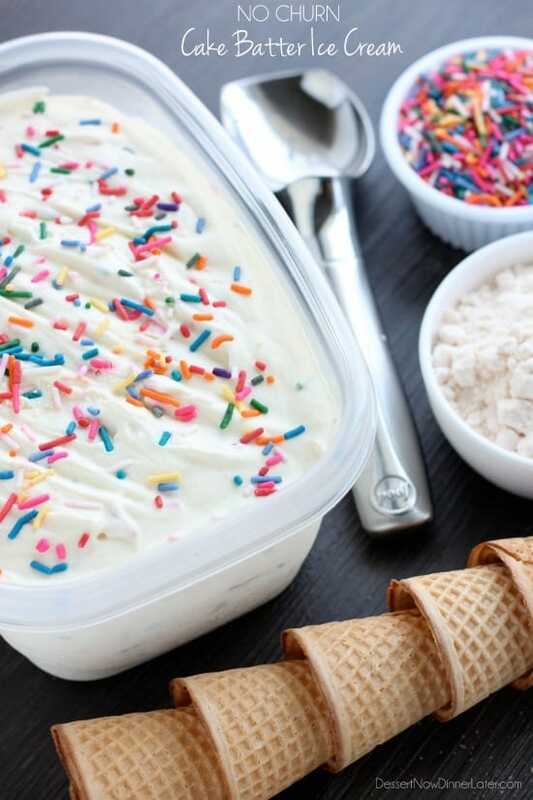 Now, I’m not a huge sprinkles fan, but I do love the way it looks in this ice cream. It makes it so festive! One thing I do know about making ice cream and having children, is that there are going to be messes; it’s inevitable! 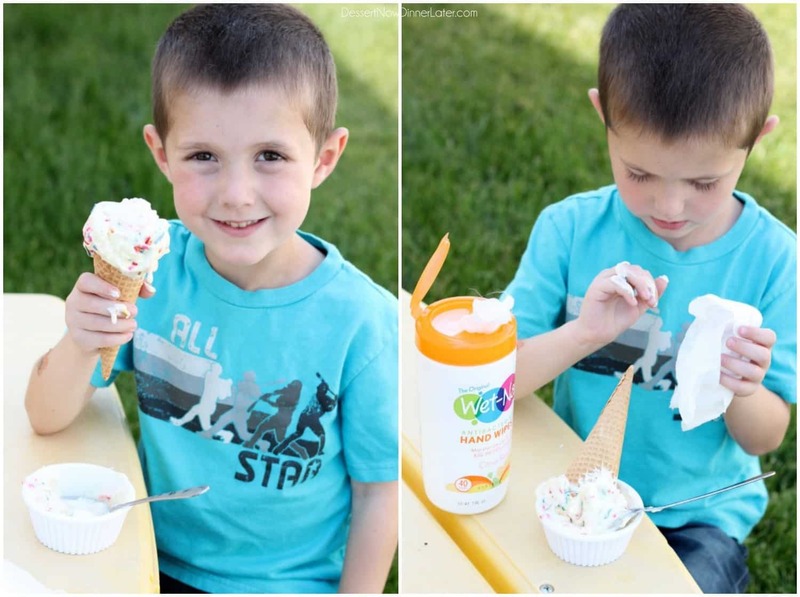 Especially if we enjoy our ice cream outside in the shade, but just because we are in the shade doesn’t mean we are safe from messes and spills. Yep! Just give an ice cream cone to a slow eating 5 year old and it doesn’t take long for it to get drippy. Luckily, I have Wet-Nap hand wipes for messes like these. They are antibacterial and perfect for little and big hands alike. I especially love to keep them in the car to use at the park when we picnic or anytime the kids touch something questionable wherever we may be. Wet-Nap wipes are softer and stronger than before, and moisturize with aloe, which is super helpful when you live in a dry climate like I do! You can typically find Wet-Nap hand wipes in the napkin aisle at Walmart, but at my store, I can find them in the wipes aisle with flushable wipes, baby wipes, and such. 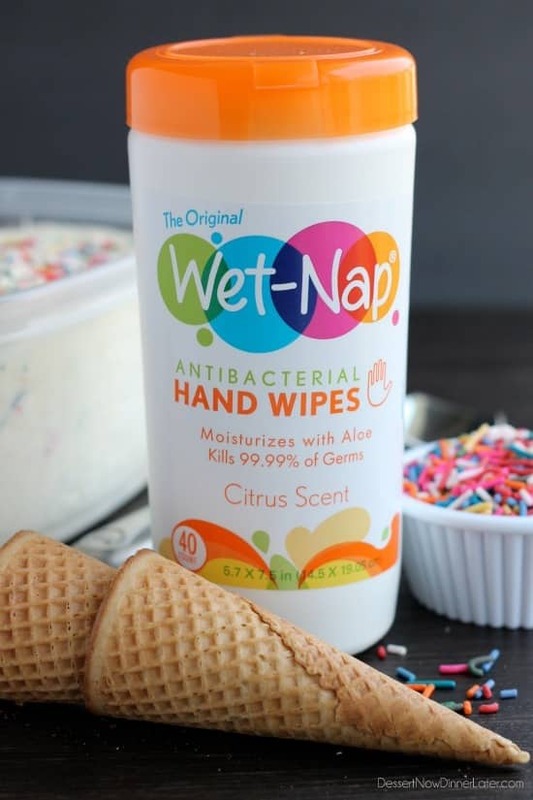 There is nothing better than matching a great Walmart deal with a coupon and right now you can get $0.55 of any Wet-Nap product; <— Just click the link and print your coupon (while supplies last). Yay! 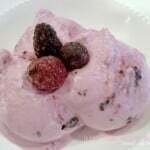 I hope you get the chance to try this ice cream! 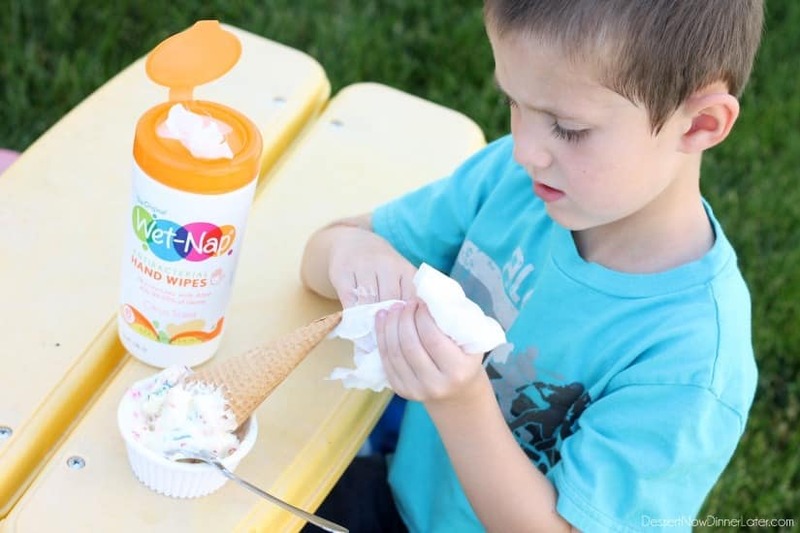 Summer time is all about fun in the sun, play dates with friends, melty ice cream, and messy children! 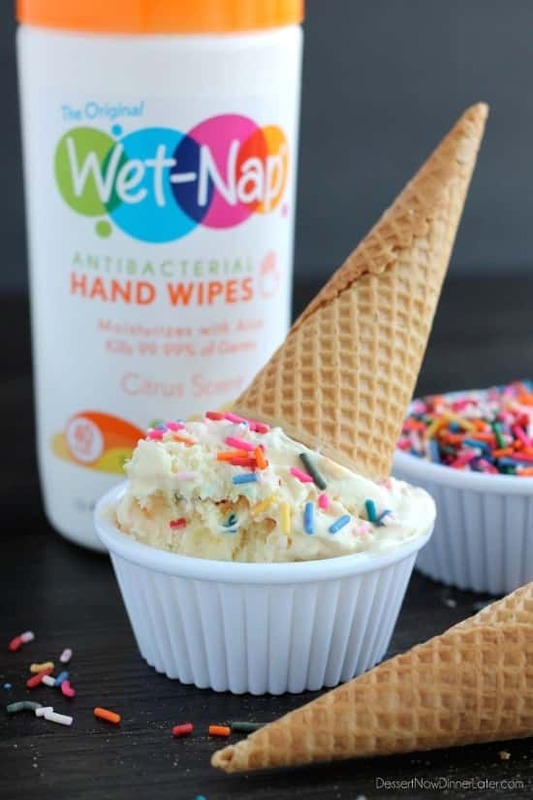 I wouldn’t have it any other way, and I’m prepared for summer time messes by keeping my Wet-Nap wipes handy! Whip heavy cream to stiff peaks using the whisk attachment on a stand mixer or a hand mixer and a large bowl. In a separate large bowl, whisk sweetened condensed milk, butter, and cake mix. Fold the whipped cream into the cake batter mixture with a rubber spatula until no white streaks appear. Pour into a 2-quart container and cover. Freeze 6 hours or until firm; freezing overnight is good. Store in the freezer. 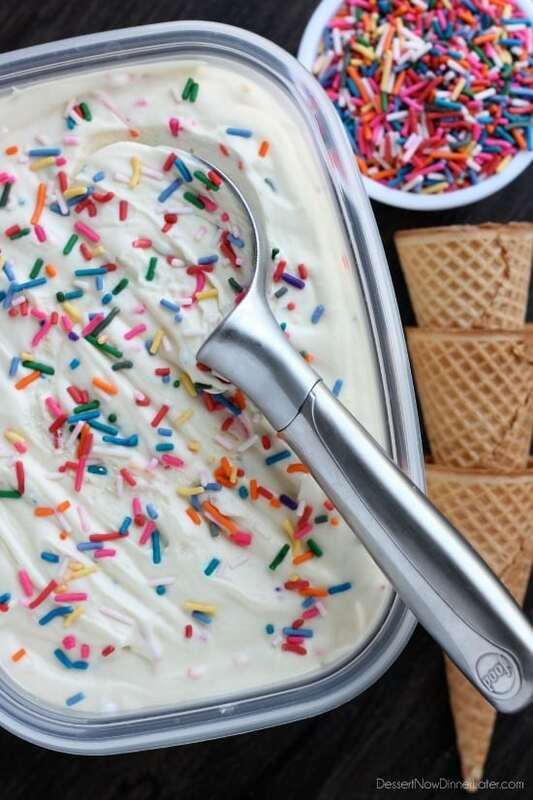 I’ve been wanting to make ice cream all summer but I don’t have an ice cream maker so this is perfect for me! And seriously, what would I do without Wet-Nap wipes?! They’re a diaper bag staple for me! The variations are endless! 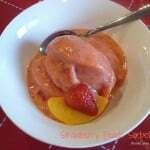 Don’t let not having an ice cream maker stop you! LOVE that this is no churn, and I love the flavor choice 🙂 Such a crowd pleaser! Thanks! A popular flavor for sure! 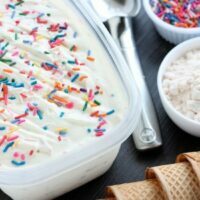 This looks really good and my sister loves cake batter ice cream. This would be fun to try! 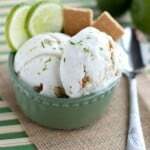 To keep the ice cream from dripping out the bottom, put a small or cut up marshmallow in there, then scoop the ice cream! When it melts, it will not drip out the bottom! Thanks for such an awesome recipe! I doubled the recipe and used a pink velvet cake mix. It came out so thick and creamy! My husband can’t stay out of the freezer!!!! Thanks again!!!! That’s awesome! Thanks for sharing your review! What’s the purpose of the butter? The butter just gives it added richness, but you can leave it out if you don’t want it in there. Sounds so decadent! Would it work the same with gluten-free cake mix? I don’t see why not! It’s just for flavor. I say go for it!